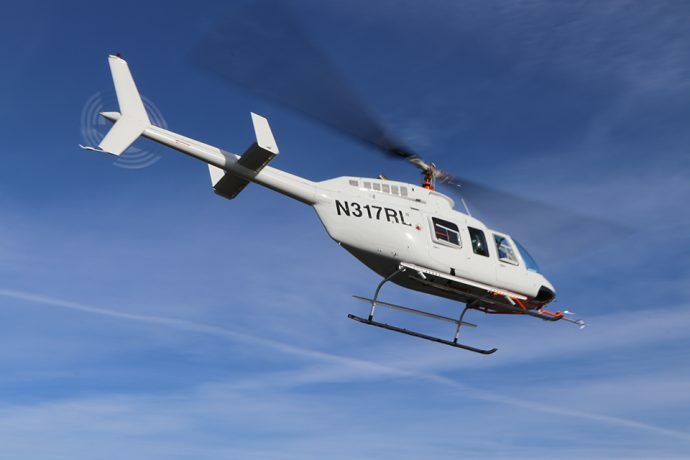 Wondering why you should make the investment in composite main rotor blades for the Bell 206? For many operators, the longer service life — up to four times longer than the OEM metal blades — is a significant factor in the business decision to upgrade. Instead of throwing out your blades at 4,000 or 5,000 hours, you send them to a nearby VHA-approved service center for a quick overhaul and keep them flying, and then you do it again, and again. Over the life of the blade set, this reduces your direct operating costs to about one-third of the metal blades, even factoring in the overhauls. But what about operators who don’t fly as often or who aren’t close to timing out their current blades? Here are seven MORE reasons to replace your metal blades with VHA composites now rather than waiting for your blades to time out. — Improved performance. As opposed to metal, which is hard to shape, composite materials can be molded into smooth, complex shapes. VHA 206 main rotor blades incorporate an efficient laminar-flow airfoil and slight twist along the length of the blade for precision placement of the blade’s aerodynamic center for better flight performance. Pilots will feel the difference as the blades respond quicker and less input is needed to perform the same tasks. — Increased speed. 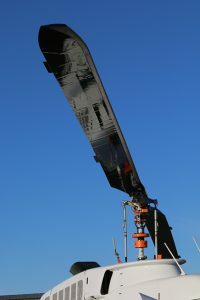 As a result of the VHA blade’s improved performance and increased efficiency of the airfoil, operators may see a slight increase in speed (1 to 3 knots) when performing the same routes compared to the metal blades. — Consistent performance over time. As an aluminum rotor blade spins, it contacts air and dust particles that cause its leading edge to erode and its airfoil to become less efficient. Over time the airfoil can become so eroded that performance suffers, and often the leading edge is filed during maintenance in an attempt to clean up the airfoil. VHA main rotor blades incorporate a set of abrasion strips along the entire length of the leading edge, including the rounded tip. These replaceable electroformed nickel and stainless steel strips protect the leading edge from erosion, ensuring that the laminar-flow airfoil delivers consistently high performance through the life of the blade. — Increased corrosion resistance. VHA main rotor blades consist of a carbon-fiber spar, carbon fiber skin, foam core, and compressed fiberglass root and tip. None of these materials corrode, and all have been tested in accordance with FAA guidelines for withstanding heat, cold and wet saturation. The only metal components on the blade are titanium root grips, which are coated with a corrosion preventative and replaced during required overhauls, and nickel/stainless steel abrasion strips, which are also inherently corrosion-resistent. — Increased damage tolerance. Composite blades are already highly damage-tolerant, and VHA blades are built with additionally high margins. No more measuring dents, nicks, or scratches in the skin. Instead, tap for voids in the carbon measuring over 1 inch (2.3 cm). Most damage to composite blades is repairable, and often the same damage that would cause a metal blade to be scrapped can be repaired on a composite blade. — Blades available when you want them. For JetRanger operators, blades are in stock and available for immediate delivery from Aeronautical Accessories or your Bell CSF. For LongRanger operators, VHA is offering the main rotor blades direct at a price of $55,000 per blade through 2018. 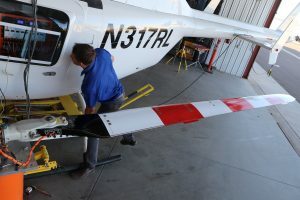 With a service life of 16,000 hours, this may be the last set of main rotor blades you buy, and they actually cost less than the current (as of August 2018) list price of the metal blades, which time out at 4,000 hours. We are quickly selling out of our 2018 production, but VHA will honor the 2018 price for 2019 deliveries when customers commit with a purchase order submitted prior to December 15, 2018. — More knowledgable support. When you call VHA for support, you are connected to the engineers who designed, tested, and flew the blades. Our engineers are also involved in blade production, installation, track and balance, and maintenance. Ready to commit? Still have questions? Call us at 1.480.483.4202 or email info@vanhornaviation.com for more information or to place an order.